The US dollar regained strength on Monday after a mixed batch of economic data and as traders positioned for the release of the latest FOMC minutes. Manufacturing in New York State fell off in the current month according to data from the Federal Reserve. The NY Empire State index fell sharply to minus 14.92 in August. Markets were expecting the survey to show a rebound to 5.0 from the previous month’s number of 3.86. The headline rate fell to its lowest point in six years. There was some good news in the report however as sentiment towards future business conditions improved solidly on the month. Employment conditions also remained stable which provided some reassurance that the survey may be an outlier. The dollar saw a further boost after some positive data on the housing sector. NAHB’s housing market index remained stable at 60, which was in line with expectations. The benchmark US dollar index increased by 0.24% as the greenback pushed higher against the euro and British sterling. EUR/USD tumbled sharply midway through the session. After rallying up to 1.1123 selling pressure gathered pace and the single currency retreated back down into the 1.10 range. The rally that peaked last week had lost some momentum and the pair was becoming overbought. 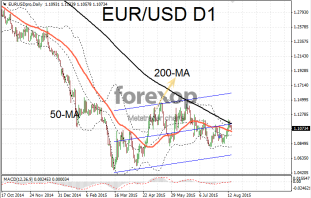 The highest extent of the rally pushed EUR/USD over the 200-day moving average. Though in a sign the rally was exhausting itself the pair closed below the critical resistance. 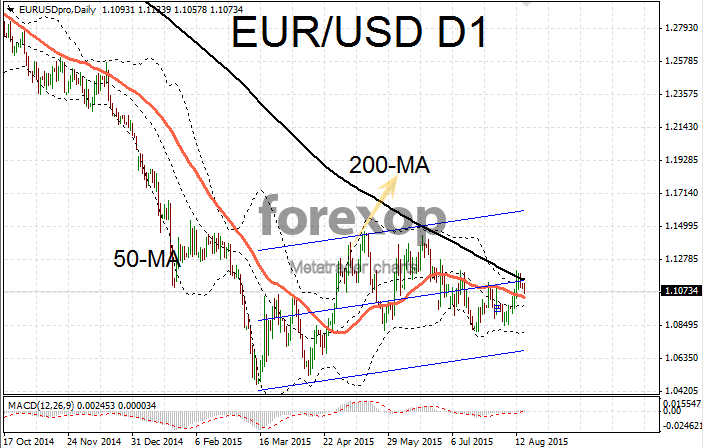 Movements in the euro continue to be driven by dollar sentiment. Trade figures released this morning showed that the Eurozone’s trade balance increased to 21.9B euros – beating expectations. Markets welcomed the news but the main emphasis will be on the German and French manufacturing data due at the end of the week. Whether the lower euro will continue to support exports out of the Eurozone remains to be seen. The minutes from the last FOMC meeting are also scheduled for release on Wednesday and could add to volatility mid-week. The rally in cable also reversed course on Monday. GBP/USD was trading back below 1.56 and was meeting support around 1.5577 and resistance at 1.56. This came despite a Bank of England official warning that keeping UK interest rates too low for too long risks undermining the recovery.